institutions, and the services – that make us proud to call this our home. Horizon Community Funds will help you make the most impact possible. Ready to maximize the impact of your year-end giving? Now is a great time to add to your existing fund at Horizon Community Funds and our entire team is here to help. 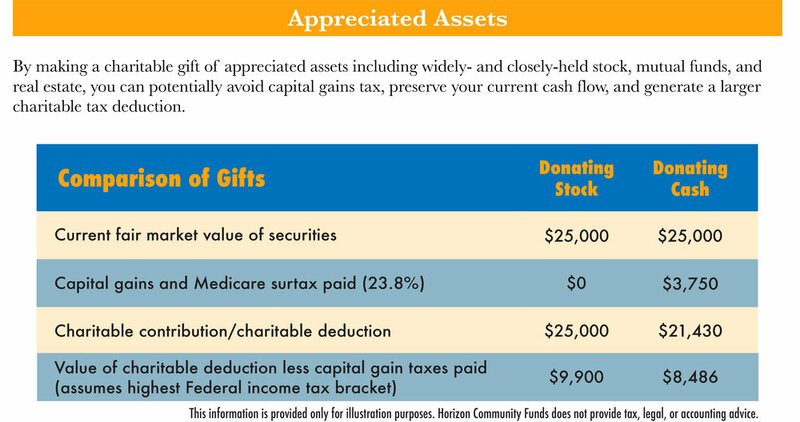 If you don’t already have a fund with us, starting a new charitable fund with Horizon Community Funds will help you streamline and simplify your charitable giving.